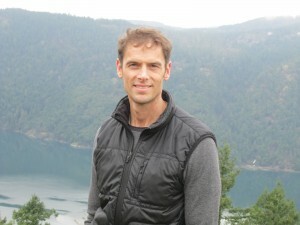 Dr. Graham Graduated from the Canadian College of Naturopathic Medicine (Toronto) in 1997, and has been practicing in BC ever since. Growing up in a household that was open to alternative diets and “health food” Dr. Graham was exposed early to nutrition and its affects on health. Being diagnosed with a life threatening illness at nineteen also served as (in the long run) a gift and education. Employing conventional and many natural therapies at this time helped him to not only regain his health but also served to ignite his interest in health and natural medicine. Dr. Graham’s ideas on health mirror the general Naturopathic philosophy that a person’s body, their physiology, always strives to maintain health and to be healthy. That is the natural order of life. Most of the more common ailments encountered today such as blood sugar, skin and digestive problems often result from a worsening or imbalance in diet and lifestyle. This stress tends to negatively impact ones constitution or genetic make-up, and the next thing you know symptoms appear. By relying on a multitude of natural therapies which may include; therapeutic diet changes, appropriate vitamin/nutrient/herbal supplementation, detoxification, stress reduction, homeopathy and others, Dr. Graham’s goal is to restore balance and improve physiology. When adhered to and followed properly substantial health improvements can be experienced. Visits with Dr. Graham can vary in length typically from 30 to 75 minutes. The initial consultation may take from 30 to 60 minutes and may involve going over your main health concerns; family health history, medications, diet, supplementation, and a review of body systems, (eg. ear, nose and throat). Following visits are determined by findings and indications that present on the initial visit, and may include food sensitivity and or diet assessment, modification, and diet substitutions. First visit – approximately 30 minutes / $90. Food sensitivity assessment – 45 minutes / $165. Oregon balance assessment – 30 minutes / $90. Follow up visits – 30 minutes / $85. Telephone and Skype appointments available on request. Insurance: Many people have extended benefits through employers and will have some coverage for naturopathic visits, (often $300.00-500.00 / annum). Please check your individual plan as rules and stipulations can vary between plans. Please download and fill in the intake form to bring with you to your first appointment. Why should I visit an ND if I already have an MD? There are no problems having both and ND and an MD, as they both have strengths and weaknesses, and can often be a complimentary team in your health care. Both NDs and MDs have a good knowledge of the body and disease processes can affect the body. While MDs have more in-depth training in diagnostic skills and drug use, ND’s have more training in diet, and vitamin/herbal/nutrient supplementation. The main difference comes down to philosophy where most MDs will usually prescribe to alleviate a symptom of ill health, (ie cortisone cream for eczema) NDs will usually focus on what the cause of that particular condition may be, (maybe a sensitivity to a certain food, eg corn). I’ve heard that NDs try and sell you a lot of supplements. Is this true? Most NDs do carry some form of dispensary in their offices and sell products from them. While it is possible that someone patients could feel they are having supplementation imposed on them by an ND, most are not aggressive about selling their products and people are under no obligation to purchase supplements from their ND. There are certain products however that your ND may have a lot of experience will and feel could really benefit someone in a particular circumstance or situation. In these situations appropriate supplementation can often enhance the healing effects of the body. Most NDs also carry professional supplement lines that carry rigorous quality control requirements and may be of a specialized nature. Does health care cover the cost of an ND visit? Currently in BC, coverage of $23/ visit for up to 10 visits per year if a person qualifies for “premium assistance”, (a BC med. designation based on total income). This can be used to subsidize visit fees. Many individuals in situations where they have healthcare plans through their workplace can have coverage up to $1000/ annum. Do I need a referral from my MD if I want to make an appointment with an ND? No, there is no referral requirement from your MD to book an appointment with an ND.